Every moment has meaning, but can you truly find the moment or the meaning? I have often spoken about the power of being in the moment, especially when it comes to connection. I also had the pleasure of listening to Fred Penner talk at TEDxLaurier, where I was hosting, about how every moment is precious. Then when he sang a few songs I was transfixed on him, the words and the moment I was participating in. So when a professional I trust told me I needed to be more in the moment, I almost scoffed. I mean hey, I talk about this stuff all the time, I value it, I think I live it too. But do I really? Well yes, in certain cases. When I meet up with someone for coffee or lunch, I am listening, engaging and trying to connect on a deep and authentic level as I can. When I do my weekly Tweetchat, called #PoCchat every Monday at 11am on Twitter, I find moments of meaning with every interaction I have there. Every place I go where there are people I want to engage with, I engage as deeply as I can. But what about with myself? Now I am all for interpersonal intelligence and for knowing who I am and what my Personal brand is. But my self reflection has not gone far enough. I was given an exercise to try. I was supposed to take a shower and just be in the moment for myself. I had to just feel the water, the soap and try not to think about anything else. It was tough! I kept singing songs, or thinking about my day, or planning an e-mail or a cool tweet to send. I was fully aware of what needed to be done and what my current ‘communication status’ was with my e-mails and social media updates. But I just couldn’t get through one entire 5-7 minute shower (I’m pretty fast too!) without having my mind head elsewhere. I’d feel the soap on my arm or the shampoo in my hair and then all of the sudden I hear “So call me maybe”. I realized that I have some work to do and being mindful and in the true moment is important. But critical is the ability is to be mindful for your own sake. My being in the moment had always been focused on being with others. Now I realize it should also be about being with my self. After reading the following poem, combined with my struggle to shower without an outside thought, I started to get it. So continue to treasure every moment — whether with your kids, your family, your friends, your work –. But also find moments to treasure your own soul and being. Because if every moment counts, then can’t the moments that are solely your own be among the most precious? Today we feature another guest blog from one of my interns. I always try to encourage my interns to share a bit of who they are and what they have been learning. This is Cora’s first attempt at a blog post. Cora and I have been working together since December and I love her creative designs, how fast she can turn around things and the fact that she convinced me to finally try Prezi as a new format for presentations. I did this for my latest TEDx talk on “School: Learning to Fly”, which you can find here: http://t.co/2L3hpc2qjx, and it was awesome. But enough about me, here is Cora Xiao and her guest blog. Who to aspire to be? When I was 10 I wanted to be a blonde diva, anything but the brown hair and brown eyes that was so opposite to the Britney Spears and Christina Aguilera pop princesses of the time. This was just another indication of the fact that I genuinely feel that I was not a creative child. I was a 100% conformist. There was no way I would have even considered looking for anything outside or beyond “Hit Me Baby One More Time” or “Genie in a Bottle” for musical inspiration. This is no longer the case. Now I’m always searching for something new and different. Maybe I can say it has to do with the short attention span that characterizes Generation Y, or maybe the ironic popularization of “hipster/alternative” thinking. But in truth I think it has to do with experiences. This past year has been a time of many firsts and I can only say I’ve emerged closer than ever to the person I one day will be, and the most exciting thing is, well… I’m excited! I think I need to backtrack a little and explain myself. Starting last summer, I took five weeks to backpack around Europe. It was at once the loneliest and the most gratifying times of my life. Then I moved away from my hometown (Saskatoon, born and raised!) of 18 years, I lived on my own for the school year, and got to meet people miles away from my immediate social circle. And in my newfound surge of self-declared independence, I set out and found an internship at Raeallan. So how did those things change me? What lessons did I learn? Honestly, I wasn’t sure at first, couldn’t turn thoughts into reason, but if I were to say one thing, it would be that my outlook on the value of people has changed. One of my biggest mentors this year has been Bobby Umar (funny side story: the very first email Bobby sent me in response to my application was shockingly and refreshingly honest, that my resume and online profiles were incredibly “…brief”). I honestly didn’t believe in making the connections you make with people a tangible asset, or really understand the value in investing in people. But Bobby changed my view on both. The accumulation of my little bit of travelling and Bobby’s message of creating authentic connections have taught me that the most interesting and fulfilling things in life will have to do with the people you meet and choose to surround yourself with. This past year, I’ve met people so drastically different from myself, people so startlingly similar, and those that have made a difference in my life. It is so easy to place people immediately into categories and stereotypes that when you meet someone that shakes your convenient character categories, it comes as a shock. Honestly, I’m not a fan of putting thought to virtual paper and virtual paper to the open Internet. But this past year, my new mentor/boss/friend Bobby Umar has taught me that it’s okay to be vulnerable and open to a certain extent- enough just to learn and grow. So here I write and ramble, thanks to Bobby and his motivating words of encouragement…or maybe just in the avoidance of being “…brief”? Either way, I have come to the conclusion that people are not meant to be aspired to. Christina Aguilera and Britney Spears will never have the power to inspire and change me in the way that people I meet in everyday life will. In Spain, I met a traveler so free-spirited I expected him to look down on others who stayed in one place all their lives. To the contrary, he proved to me that free-spiritedness is true only if in the presence of an open and free mind. He told stories of his best friend who was a total homebody and had never left New York (but then again, who would want to ever leave NYC?). In university I have met people with histories that don’t hold their baggage against the world, but rather use their experiences to protect and care for others. Honestly, when I meet such people, how can’t I think that life truly is beautiful? They’re all out there, waiting to be met, have their hand shook, have a chat over coffee, all it takes is breaking down that first barrier, that first awkward moment in the elevator. Bobby’s presentations are always summarized in his key take-aways. So what’s my key take-away here? Refrain from aspiring to be, and start aspiring to meet. 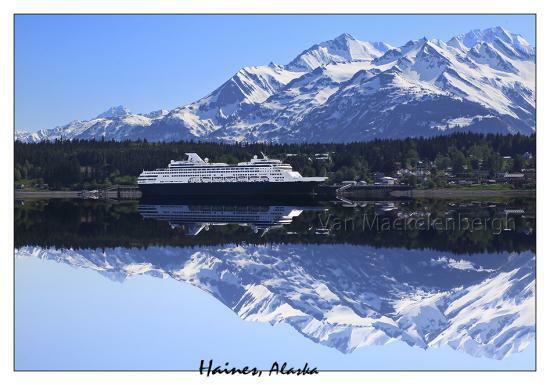 I lead, you lead, we all cruise together – Alaskan cruise anyone? Do you love to discover amazing trips and travel? Do you love to discover your Leadership traits and potential? Do you love travelling with a group with the same passion for travel and leadership? Have you ever been to Alaska or on a cruise? When I first heard about this idea by the group that approached me, it seemed so distant to even think about it. 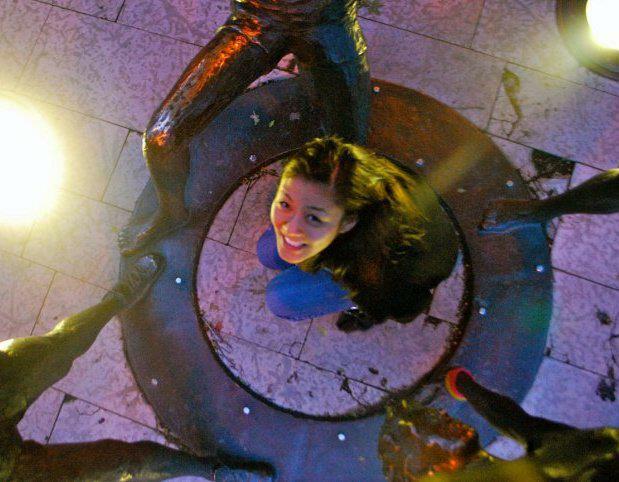 But I thought it was pretty cool, since most tour groups for cruises like to have added value. Now however, the deadline is approaching to book my friends and follow colleagues on this adventure. So I thought I would share with you – What do I find so appealing about it? Well, I figured a vacation is a great way to get several different groups together. Who doesn’t love a reunion? We are only at sea during the day for 2 days, so for both days, I’ll do a morning session on Leadership, Personality Assessments and Personal Branding. This will take up only two mornings from 9am-12noon. After that, we are all socializing, partying, celebrating, discussing, journeying together for 7 days. I love the idea of giving people access to me and I get the same from you. The best leadership events I have been to last a long time (like a weekend, week, or even a month! ), allowing for deeper discussion and reflection. This, to me is the best aspect of the trip. I hope you’ll join us. Please see the details below and register now. Join us for an incredible week August 25th to Sept 1 as we present “Discover the Leader in You” on an Alaskan Cruise! Bobby Umar’s Leadership Seminar at Sea is aimed at people seeking re-discover and understand their leadership brand, and those aspiring to move into leadership roles. Leadership, now more than ever, is a quality that all companies look for and develop. But now Leadership is something that transcends all parts of your professional AND personal lives. All too often, senior corporate leaders come across as uninspiring, methodical people who hold the qualifications but not the ability to get the best out of their teams, friends and family. In Bobby’s Leadership Seminar at Sea, you will learn how to engage, motivate and inspire your co-workers, colleagues, friends and family. You will do this by learning about personality types, group dynamics, personal branding leadership and effective communication through 2 half-day session of lectures, discussions and interactive workshops. The rest of the time, Bobby will make himself accessible to you for the full 7 days as we travel the west coast.